The Florida 40 Hour Security Officer Class D Training Class. 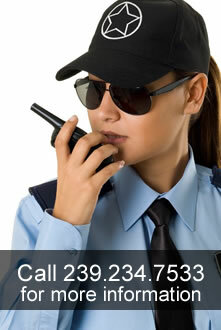 This is required to work as a security officer for a security company in the state of Florida. Classes will be held weekly and Pre-Registration is Required. The course fee is $125.00 with a $50.00 Deposit due upon registering & the balance is due on the first day of class. We accept cash, money order, credit and debit cards. We offer small class sizes for more individual hands on learning with experienced instructors. Our instructors are all former law enforcement officers. Now Accepting Registration for evening and weekend classes as well. Florida Administrative Code - 2.0/Hrs. Legal Issues; Liability - 2.5/Hrs. Guidelines for when a client requests a search Basic Emergency First Aid 2.0 hrs. Orientation to blood borne pathogens Emergency Procedures 1.5 hrs. Ethics And Professional Conduct - 2.0/Hrs. Observation Techniques and Report Writing - 3.0/Hrs. Fire Detection, Suppression and Life Safety - 1.5/Hrs. Crime and Accident Prevention Techniques and Practices - 2.0/Hrs. Crime and Accident Scene Protection - 1.0/Hr. Note: Additional subject material may be added, but core topics and subtopics must be stressed. Examination must consist of 100 questions, as follows, with a passing grade of 75 percent. No more than 50 percent of the questions for each core topic may be true or false. Fundamentals of Personal Security - 2.0/Hrs. Special Problems for Security - 4.0/Hrs. Examination must consist of 70 questions, as follows, with a passing grade of 75 percent.